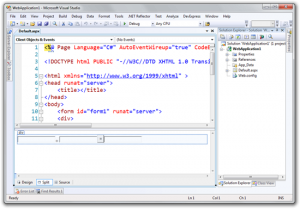 ASP.NET Web Forms is a part of the ASP.NET web application framework and is included with Visual Studio. 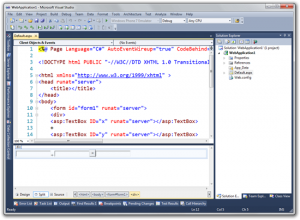 It is one of the four programming models you can use to create ASP.NET 4.0 web applications, the others are ASP.NET MVC, ASP.NET MVC 3, ASP.NET Web Pages, and ASP.NET Single Page Applications. 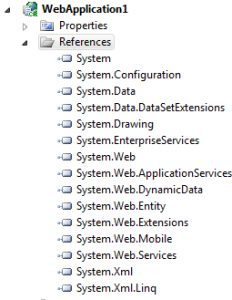 In ASP.NET, you can have ASP.NET applications that are both WebForms and MVC (as well as WCF and ASMX Web Services and on and on.) 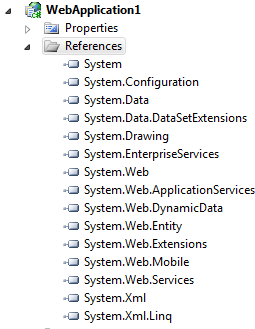 While the File|New Project dialog gives you a choice between This and That, in fact it’s all ASP.NET underneath. 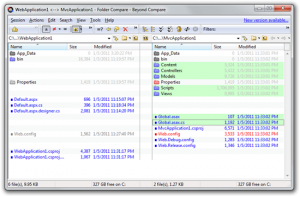 You are welcome to mix and match “cafeteria style” and create apps in any combination you’d like. 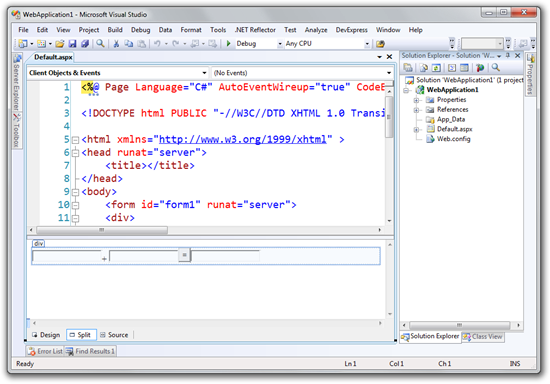 This is a simple Visual Studio 2008 ASP.NET WebForms Application running under .NET 2. Now, open this application in Visual Studio 2010. You’ll get the Conversion/Upgrade Wizard. Click Next >> Next >> Finish. 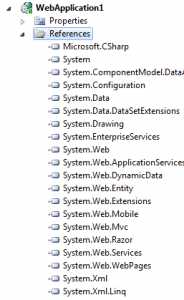 You’ll get an prompt to upgrade the 2.0 application to .NET Framework 4. Click Yes. 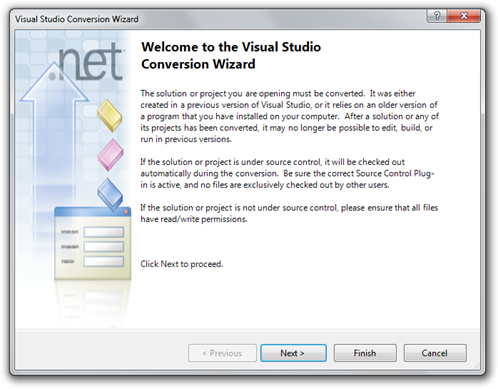 Now upgraded it in Visual Studio 2010. It will runs and it’s still WebForms. 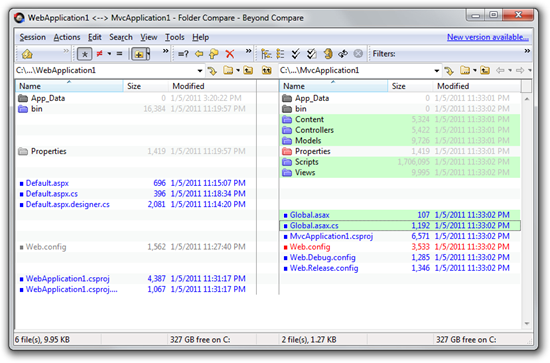 Please take a new default ASP.NET MVC 3 application with Beyond Compare and compare the upgraded app with the default app. This is the new references from the upgraded application. The old on the left and the new on the right. This is the references you must added. 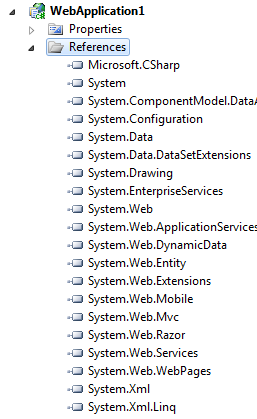 Next, add these sections to the Web.config. Again, it’s easier to use a diff tool and you might have a little trial and error. And finally add this assembly binding redirect, just in case you’ve got ASP.NET MVC 1 or 2 assemblies in your Global Assembly Cache (GAC). Also, make sure you merge in the Global.asax.cs , so that your Routes are registered at application startup. Now, you can visit both pages. 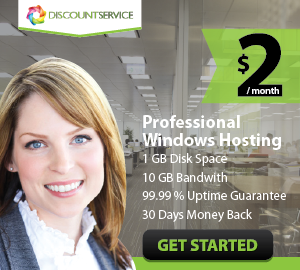 The WebForms page is a file on disk, so ASP.NET routing passes requests directly on to this page /default.aspx. 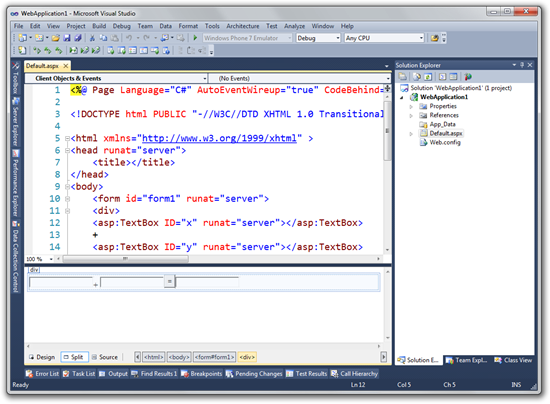 The ASP.NET Routing engine is engaged so you can also hit /Home/Index.